2015 travel plans emerged quickly based on some personal commitments. I had no intentions of going to Europe this year and yet I found myself there twice this summer; thank you American Airlines, United, and Delta airlines for having available award space for last minute travel. There were so many great travel memories from the year it is hard to choose but I will attempt a top 5 list. For reference of where 2015 destinations included take a look at the Recent Trips page. I was so luck that my trip to Europe was timed perfectly to attend the festival as the patios are only open for 2 weeks in May. 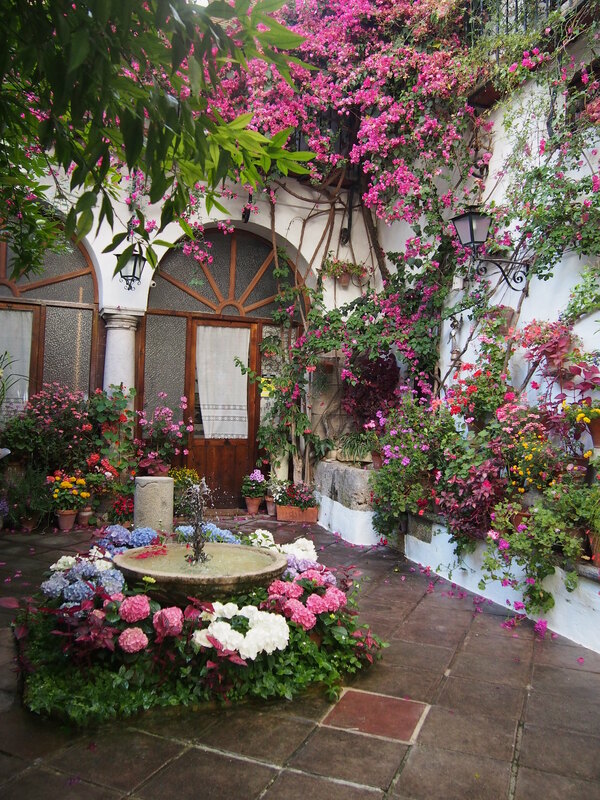 It was such an incredible experience to “visit” so many private homes to enjoy the gorgeous garden patios with flowers blooming. So my travel addiction takes me to seminars to talk about travel with other fellow addicts. In May a few of my long time friends and I had the pure pleasure to complete a wish list tour by attending a Mega Do event. The original agenda for our group was going to include factory tour of Airbus A350. However when we arrived they had a bigger treat for us that they NEVER offer anyone else…..a self guided tour of a Airbus A380 still in testing phase. Unfortunately we had anticipated we were going to be in the factory where no cameras were allowed; so while I got to sit in the cockpit I have no photographic evidence. However I was awestruck to walk around this plane which had merely the electronic equipment and the whole inside body was wide open. I have yet to fly in one of these planes as sadly Chicago Ohare is not yet equipped to support A380 planes. It is the largest passenger plane yet which can hold a maximum of 525 passengers, 3000 suitcases, 81,900 gallons gasoline and weighs approximately 590 tons. It is a beauty to see with a wingspan over 50% larger than a Boeing 747. For any airplane geeks like me check out the video but keep in mind that each airline makes configuration variances to their needs as some first class are now suites including showers! 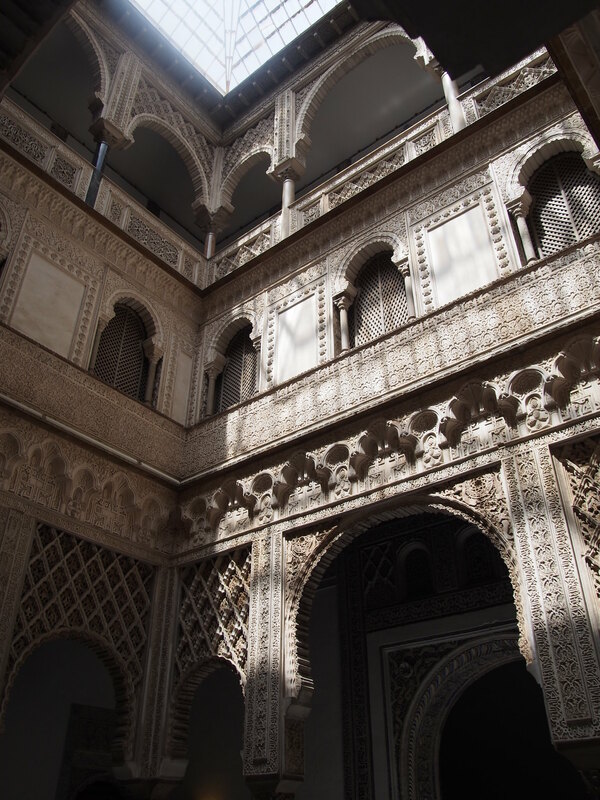 Best site – Seville Spain: Real Alcazar de Sevilla (May 2015) Well UNESCO sites never disappoint and this one is no exception. The photos I took will give you limited insight but here are the videos to virtual tour will give you better perspective. 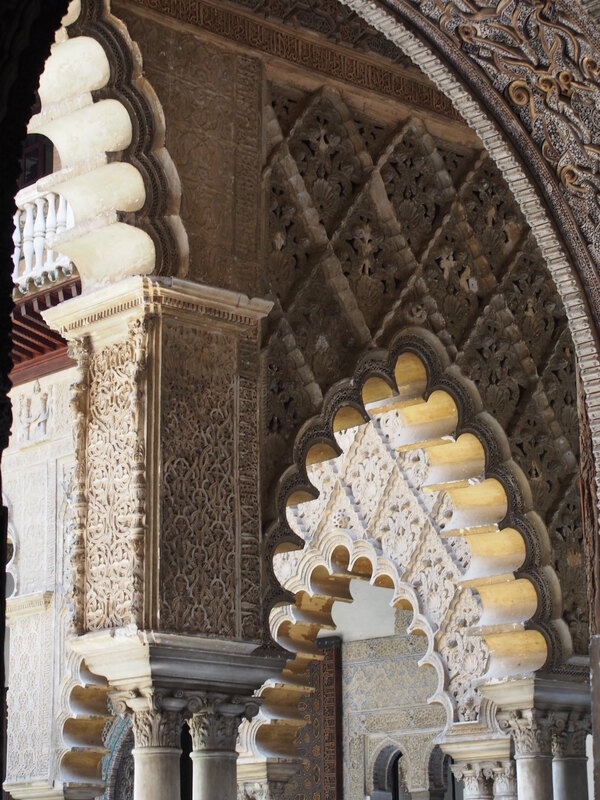 The architecture of this palace left me speechless. Every corner you turn the architecture and views only continue to get better! Best natural site – Kauai Hawaii (November 2015) OMG! I said it before but I will say it again. One of the most beautiful places I have been. Everywhere you look it was continuously amazing views. Literally like living in a postcard! Put it on your wish list if you have have never been! Here are some photos to get you thinking about it. On my return home from the Island Hopper Bonanza I had a 24 hour stopover in Tokyo. I had never been to Tokyo and was a little apprehensive how things would go traveling on my own in a land where I could not even read the signs. I had done extensive research and prepared for my visit including printing out the train station map as I heard stories of people getting lost in train stations for hours. My arrival went relatively smoothly however my departure is where things fell apart. I entered the Tokyo train station which ended up being a mall and restaurant section but could not find any signs to the actual train platforms. After walking around for over 30 minutes I started to panic thinking I might miss my train and possibly flight home. A lovely Japanese woman approached me asking if I needed assistance. She then proceeded to guide me through the train station right up to the gates of the train station ticket gate for the train line I needed. I could not thank her enough. This experience reminds me of many other times I have gotten assistance from strangers when traveling. Random acts of kindness do exist. So it must have been my lucky day as I waited for the train a Japanese women approached me with a small gift. Based on the packaging it looked similar to the small gift I received after making a purchase at the temple. While no words were exchanged it was clear that she wanted me to have it. Then about 30 seconds later she was back to explain to me that it was a charm that you attach to zippers on purses etc. I was blessed with kindness twice within one hour; once again travel reminds me to practice gratitude. I wish you a very Happy New Year and hope that your plans for 2016 include travel! Many of us will be taking to the roads this holiday season and while most of my focus is on flights or trains here are a few reminders. Be sure to stay hydrated and always bring a bottle of water. Take a break every few hours just to get out of the car and walk around for 5 minutes. Check the weather and plan accordingly. Don’t be afraid to pull over for wait out a storm and take a coffee break. Pack a blanket and matches in your trunk. In the event you end up stranded in the car on a cold winter night you will be glad you have it. Never text and drive. It can wait. As my parents tell me every time I prepare for a road trip “Just remember greasy side down and shiny side up” . Safe travels to you and yours this holiday season. I mentioned in my trip summary post that Kauai was amazing and that I loved it. I have a long time friend who is so incredibly lucky to call Kauai her home. She literally lives in a post card with incredible landscape views everywhere and lovely beaches around every corner. I was able to spend the majority of my time on the island with my friend and really get a true sense of the island’s social, cultural and economic life. Kauai still has a very small town feel. Name one other place where traffic in both direction will immediately stop when you want to cross the street? The majority of the island has small towns with a few shops and restaurants that are independent local business owners. Sure you have your typical American chains of Walmart, McDonalds, KFC, etc but who wants to go there when you can have a lovely home cooked meal for the same price. 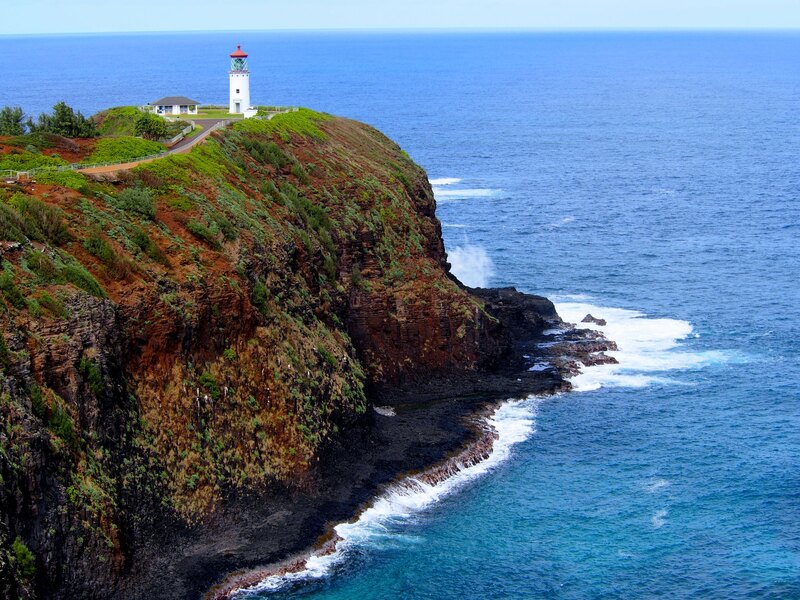 Given the landscape of the island you cannot drive completely around the island due to the rugged Na Pali coastline. The roads are generally two lane with many twists and turns which makes travel time longer than you may anticipate. However the long drives were always delightful with plenty of beautiful scenery to keep you occupied. 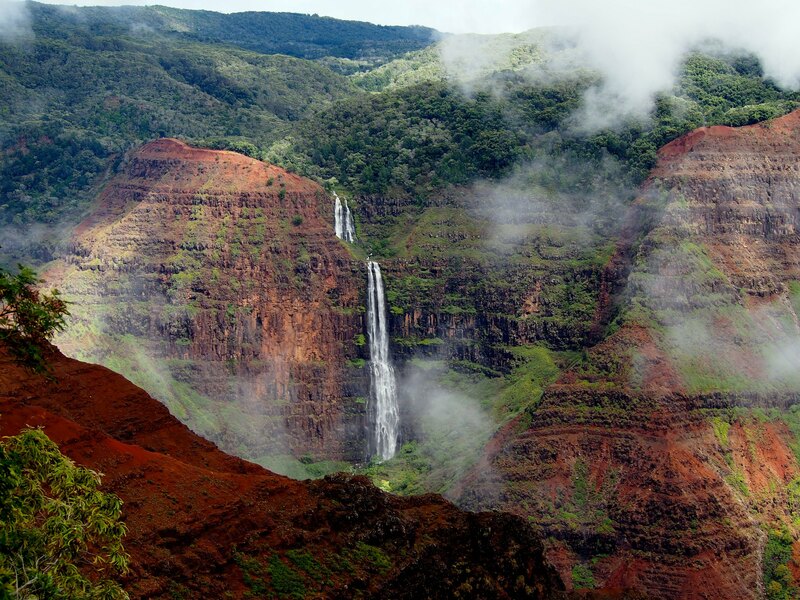 Highlights include links from my Instagram: Waimea Canyon, Hanalei Bay and Na Pali Coast. 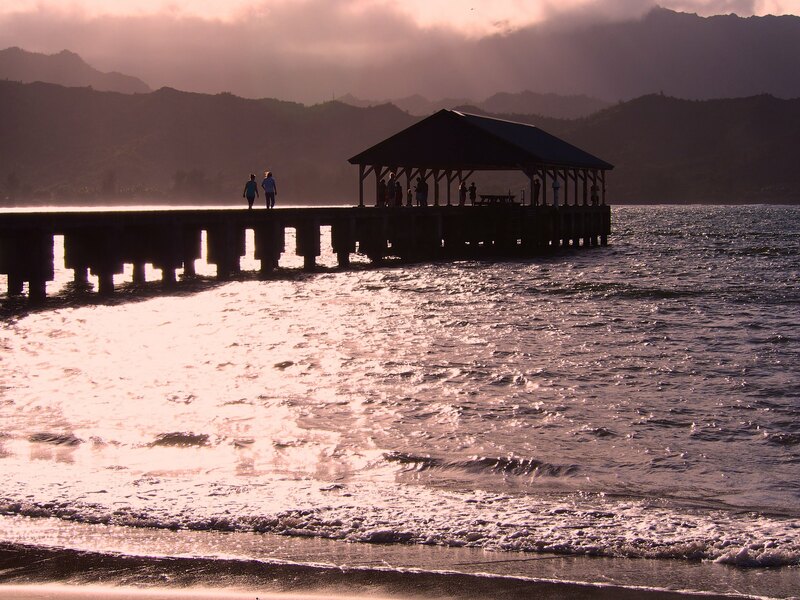 This a good website to help get you started if you are considering a trip to Kauai but let’s just keep this amazing island our little secret. While I was only in Honolulu for 24 hours I don’t regret my limited time. Perhaps it was my personal mindset coming from the friendly relaxed Kauai island to the big city. However I did not like Honolulu….there I said it. Sorry. While I am beyond the historic events that happened and certainly willing to forget the past tensions that may existed; I felt oddly uncomfortable visiting Pearl Harbor mourning the loss of American soldiers with the majority of tourists from Japan. Here are 5 interesting USS Arizona facts. There are only 7 remaining soldiers who were on the USS Arizona on that fateful day. I had the privilege to meet two of them and thank them for their service to my country. Since the day of the attack the USS Arizona continues to leak about 1 quart of oil a day with no environmental concern. Many people call this oil leakage the USS Arizona weeping “black tears” and speculate that once that last soldier from the attack passes away the weeping will cease. In addition I went over to Waikiki area which was so overloaded with tourists predominately from Asia spending hundreds of dollars on high end shopping. The Waikiki beach was crowded with people continuously stepping right directly in my path while attempting to capture my sunset photo. At this point I longed for the joyful relaxed beaches in Kauai. However the journey continues as I was off the next day on the Micronesia Island Hopper flight! WOW what a brilliant trip! I just landed this afternoon from a direct flight Tokyo to Chicago. It seems like I have been gone for about 3 weeks but in reality it was only 11 days, 14 flight segments, and 19,000 miles! I have brief summary of all the places I visited in this trip but I will be sharing stories, photos and details from the trip in the coming days and weeks. 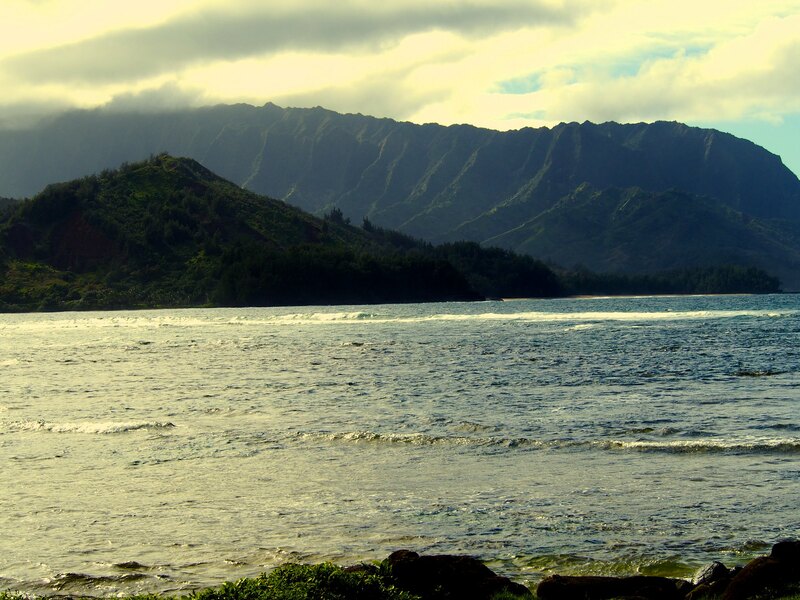 Kauai: Amazing! Loved it! This seems to be Hawaii’s best kept secret or it was until now. I highly recommend a visit to this gorgeous island. Honolulu: I visited Pearl Harbor and Waikiki Beach. I seemed to be one of the very few American tourists as the city was full with tourists from Asia spending hundreds actually probably thousands of dollars at everywhere I looked. Republic of the Marshall Islands – Majuro: Amazing aerial views! The airport for all of these stops was an oversized and glorified bus station but was able to purchase some handmade crafts. Republic of the Marshall Islands – Kwajalein: Not allowed to leave the aircraft. US Miltary base with some crazy missile testing things going on here. Federated States of Micronesia – Pohnpei: Absolutely gorgeous aerial views even with the rain! It is apparently one of the wettest places on earth. The airport had free wifi and TV was playing an NBA basketball game. Federated States of Micronesia – Chuuk: They saved the best for last in regards the aerial views! This island has many tourist for diving and snorkeling here including many WWII remnants which became famous after Jacques Cousteau visit. Guam: Unless you are part of the US Navy there is not much here for visitors. I was only there for one day and got to cover most of the highlights. Palau: PARADISE! It is a major scuba diver mecca with incredible and diverse dive sites. You can even swim with jellyfish that have lost the ability to sting you. South Korea – Seoul: OMG! I cannot believe the Incheon Airport! The services they offer are incredible including onsite cultural programs, gardens, free relaxation room and showers. 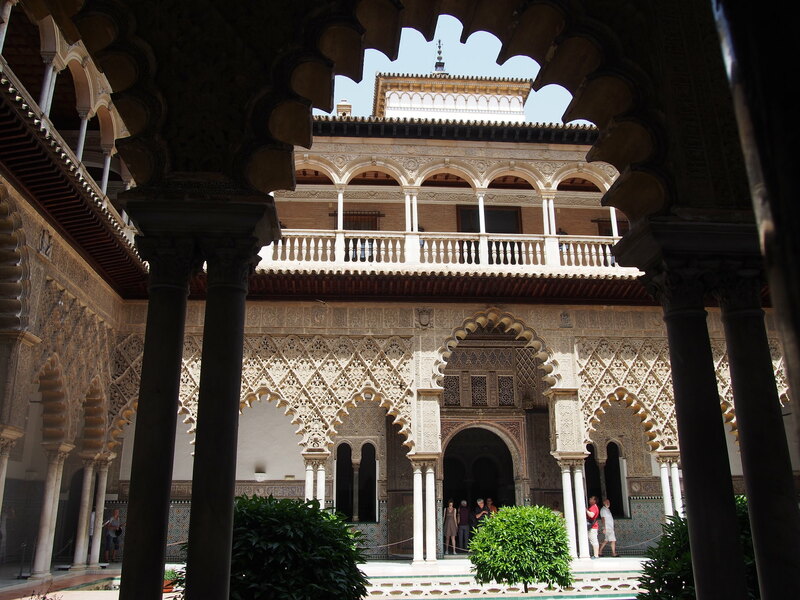 But wait there is more….they offer FREE tours for passengers who a transfer of 2 hours or more. They have a variety of options ranging in duration from 1 to 5 hours with transit services right outside the airport doors waiting for you. 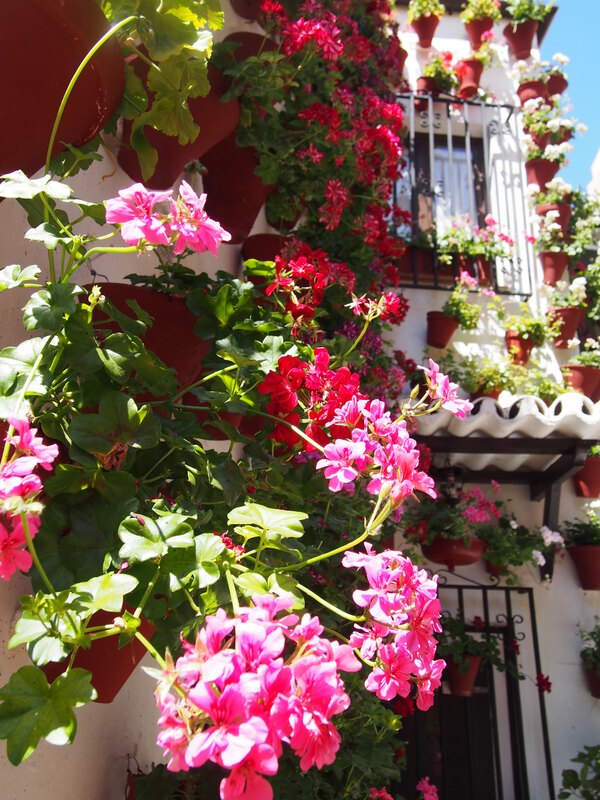 Are you transferring from a warm climate and it is cold outside? No problem they even have jackets you can borrow for your tour! In case that is not enough at the end of the tour our guide gave everyone a small free gift; makes you want to schedule an extended transfer in Seoul. Right? Japan – Tokyo: 24 hour stopover I was able to get into Tokyo check out a few sights and get back to the airport with no major issues. Thanks to the lovely Japanese lady who could see I was struggling to find my way to the Narita Express platforms when the only thing in sight was shops and restaurants. I was inspired during this voyage and identified some great topics for future posts. If you ever have any topics that you would like to see discussed here just send your suggestions to 1girlwhotravels@gmail.com and I will add it to the queue.